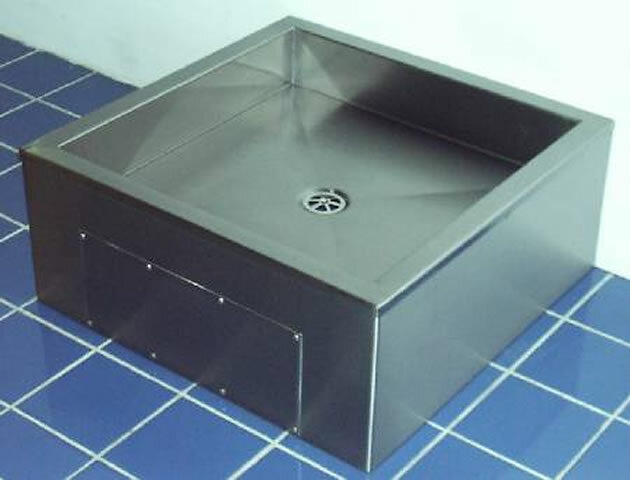 Shower trays are manufactured from 304 grade stainless steel and are supplied as standard with a central 38mm (1½" BSP) waste fitting and a 15mm upstand to rear. 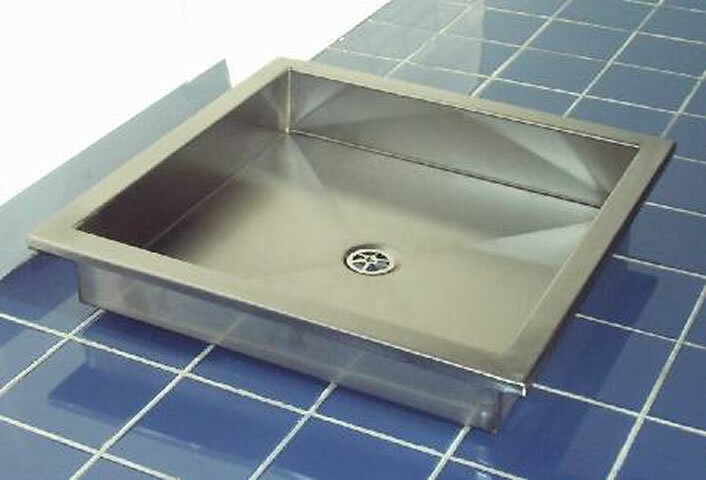 The free standing tray has 250mm high fascia panels to both sides and a removable waste access panel to the front, the floor recessed tray has 15mm downturns to both sides and the front. Delivery lead time is usually about 10 working days from order, with free packing and carriage to the UK Mainland on orders over £250.00 + vat. Special sizes or configurations are available for both models in about 15 working days.